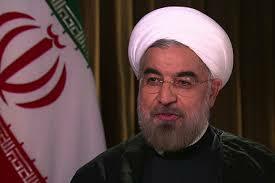 Details or terms of agreement of these deals are not divulged to the Iranian people. One thing is clear, however: the deals are to be financed through external borrowing. To secure borrowing in global financial markets, however, Iran would need a favorable rating of its creditworthiness by the international rating agencies such as Moody’s, Standard & Poor’s and Fitch. This explains why the Rouhani administration is actively soliciting credit rating by these agencies. “An official says Iran is in discussions to get its first credit rating as the country is emerging from years of sanctions and seeking to put its economy on strong footing” . That official turned out to be President Rouhani’s Chief of Staff Mohammad Nahavandian, who told Reuters in an interview in London, « We are in negotiations with some of these rating agencies, » adding that he expected the agencies to provide a full rating . See, for example, John Gallagher and Ronald Robinson. « The Imperialism of Free Trade, » The Economic History Review, Vol. 6, No. 1 (August 1953), pp. 1-15.